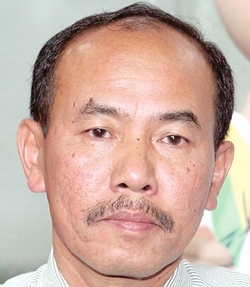 PSC not sabotaging the govt: Chief Sec | Daily Express Online, Sabah, Malaysia. Kuala Lumpur: Chief Secretary to the Government Datuk Seri Ismail Bakar (pic) on Tuesday denied claims that the Public Service Commission (PSC) was sabotaging government officers hired by the Pakatan Harapan (PH) government by giving them lower grades and salaries.Ismail said the PSC was instead correcting breaches of hiring procedures made by the previous Barisan Nasional (BN) administration and following procedures set by the new government to clean up the process of political appointments. "First thing first, the previous government was not following some of the procedures on appointing new officers, now the new government wants us to follow the procedures as in the manifesto so [as] to put back integrity and good governance," he said. Ismail was asked to comment on claims that the PSC and Public Service Department (PSD) were going against the orders of Prime Minister Tun Dr Mahathir Mohamad. News portal The Malaysian Insight, quoting anonymous sources, reported that PSD officers had taken it upon themselves to reassign grades of newly appointed officers to respective ministers in Dr Mahathir's Cabinet, which would affect their salaries. Ismail, however, refuted the claims, stating the Government was guided by a 2012 PSD circular on posts and service matters relating to the offices of Ministers and Deputy Ministers. "The way forward – we will check again the salary starting point in each of the grade. For example, for Grade 54, maybe the starting will be at higher level instead of middle level," he said. Ismail stressed that procedures on political appointments by the new government were being done by the books and called for understanding. "We are not sabotaging the government. I hope everybody [understands] the situation and [do not] escalate the issue," said Ismail, who was just appointed to his position close to two weeks ago. On Aug 3, it was reported that a large number of political appointees including political secretaries, press secretaries, special functions officers and special officers, have not received their salaries for more than two months. Dr Mahathir said last week that stubborn civil servants seen as loyal to the former Barisan Nasional (BN) administration had refused to pay the salaries of officers of ministers under PH government. He said it was only when the Cabinet decided to take action on the non-payments that the salaries were paid to the PH ministerial officers.